This month’s JCFL Prayer Vigil is at the Church of the Immaculate Conception, Farm Street, on 2nd January at 7.30pm. 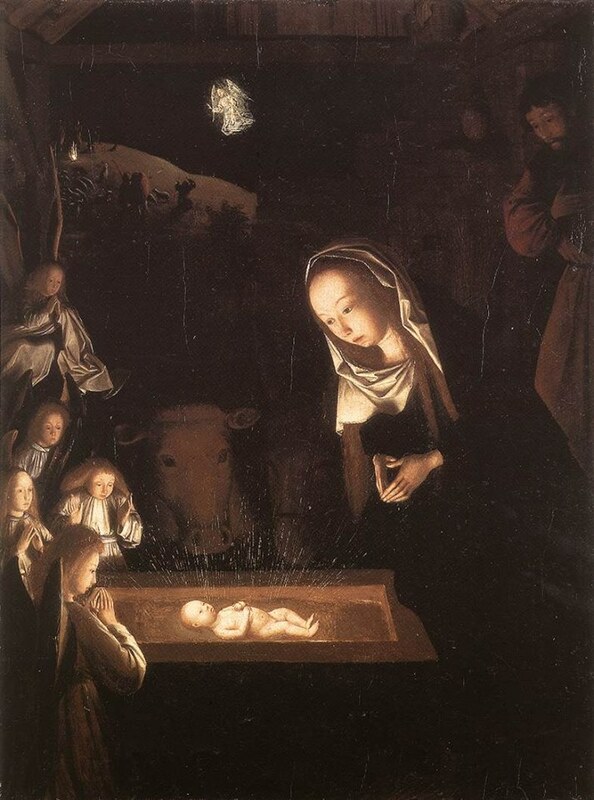 The JCFL Prayer Vigil offers an encounter with Jesus, in Word and Sacrament, taking a Christ-centered theme and weaving together a simple liturgy with readings from Sacred Scripture, Music and Song from a variety of Church Traditions, a Reflection on the Word, Adoration, Intercession and Silence. After the JCFL Prayer Vigil all are welcome to join us for a little quality time in a local pub offering the opportunity to get to know one another a little better united in the friendship of Christ. 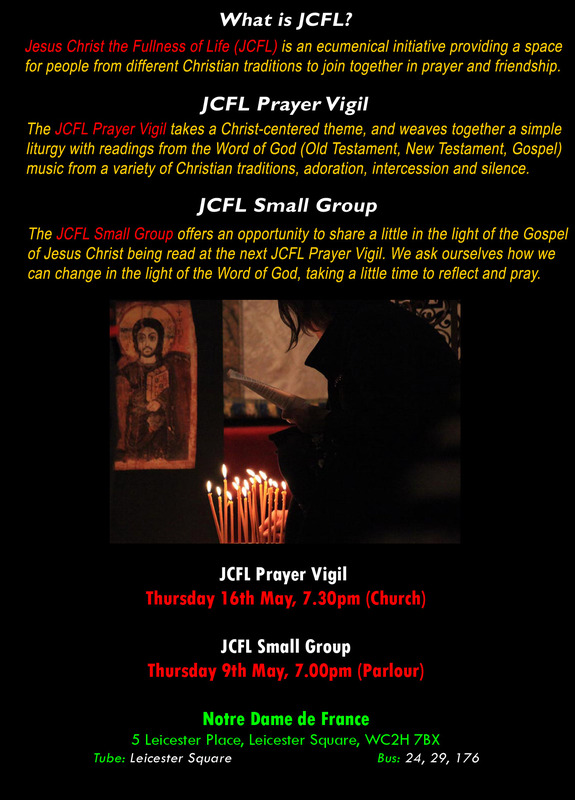 There is a Song Practice, to run through the music for the JCFL Prayer Vigil, in the Church (or in the Farm Street Choir Room) at 6.30pm. New singers are always welcome! If you would like to serve JCFL with a musical gift, or in any other way, please contact us at info@jcfl.org.uk. Thank you!